What is Coerver Coaching all about? 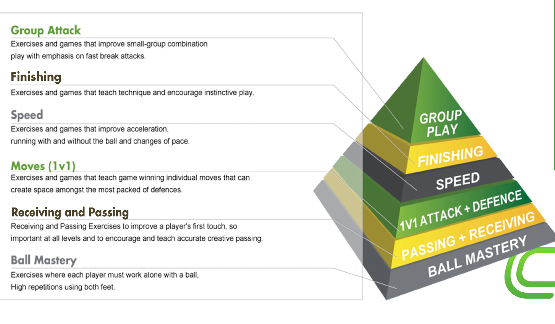 Why is Coerver Coaching the best soccer coaching and training tool available? 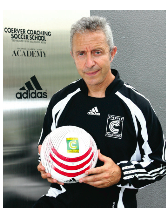 Coerver Coaching is the world’s number #1 soccer skills teaching method. So you want to master the Coerver Coaching method. Well, you’ve made an excellent choice, as Coerver Coaching is the best soccer coaching method for training young soccer players in the world. Why? Because it’s all about improving your skills on the soccer ball. Here’s a run down of some very good Coerver Coaching soccer drills. If you want to become an expert soccer player or soccer coach, this is a good place to start. Take a look at some of these excellent soccer drills, all covering the fundamental aspects of the game, from passing to dribbling to shooting to combination plays, add these to your soccer training sessions and you’ll see improvement on the field. Again, what’s fantastic about the Coerver Coaching method is how they focus on improving your first touch and overall skill on the soccer ball – which is really what the of soccer game is all about. If you have a good first touch on the soccer ball then everything about the game becomes much easier. Let’s learn some soccer coaching drills from the masters of soccer coaching! These soccer coaching drills will help your team improve and each player improve individually as a soccer player. ALFRED GALUSTIAN started his soccer career as a player for Wimbledon. He is the Co-Found- er and International Director of Coerver® Coaching, and has been largely responsible for building the program Globally. To date Alfred has worked as a Coach Instructor with 17 National Federations including the French, English, Japanese and Brazilian. Alfred has also worked with over 50 top professional clubs including Bayern Munich, Manchester City, Real Madrid, Benfica, Roma, Olympique Marseille, Juventus and Arsenal FC. He received an award from FIFA in 2014 for 40 years contribution to the development of the game around the World. 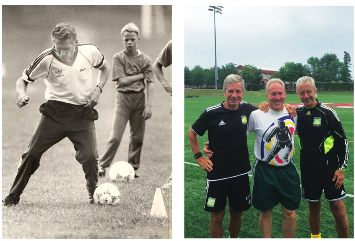 Lake Placid Soccer Centre had the distinct honor to host visits to LPSC camps by Wiel Coerver. The result has been a 35 year guiding camp teaching philosophy on the field of style, excellence and results. We create exciting players who are a pleasure to watch. The Coerver® Coaching method is now over 35 countries.